NYT profiles the Iditarod Trail Invitational and considering the comments about Seattle’s whussy snow, tell me if any of you are riding in those conditions! I know that Jill is. Note those are Pugsley-sized tires, cyclists are self-contained, and survivalist. I remember reading about Iditabike years ago and they eat turkey jerky + nuts for the protein and energy (imagine choking that down when it’s frozen). 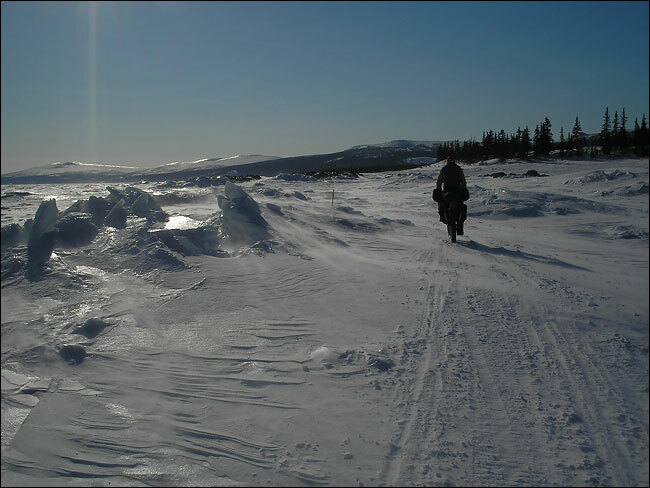 Also see Commuting in Alaska from Bicycles and Icicles. Photo credit: Alaska Ultra Sport.